VeloScience Bike Works is here to help you do precisely that. 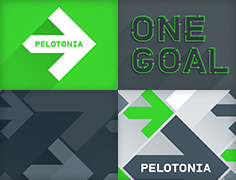 Once you've registered for Pelotonia, send us a link to your Rider Profile page. We'll start tracking every purchase you make at VSBW (and purchases that others make for you, too). On August 9, we'll contribute 15% of that total directly to Pelotonia through your fundraising page. We know that riding is the fun part. But fundraising can be tough, and we're happy to help. We salute your efforts to support cancer research. It's a cause that is close to our hearts, so we're behind you all the way. E-mail hello@velosciencebikeworks.com to get started today! BMC Night at VeloScience April 17th! The Ultimate Cycling Experience arrives in New Albany! Make your appointment for a pro VeloScience fit session today!